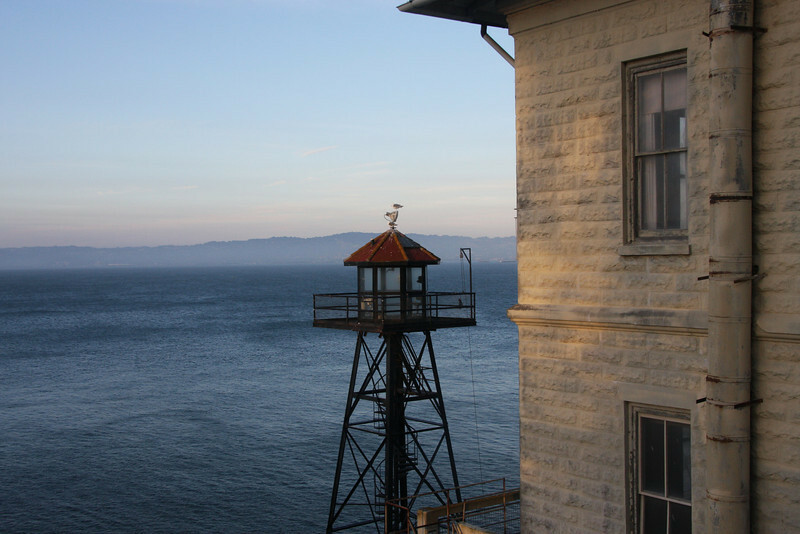 Alcatraz's guard towers and catwalks were installed in 1934 - the Federal Penitentiary's first year in operation. Heavily armed guards kept watch from this tower, plus five others, and a system of catwalks that loomed over the Rock. The officers used both bullhorns and bullets to warn escape-minded inmates and boats that ventured too near the island. Warnings worked with inquisitive boaters, but several determined escapees ignored the officers and were either shot or recaptured.